Active for several years on the international concert scene, Elena Càsoli presents a multi-faceted image of her instrument from classical authors to the guitaristic experimentalism of the „New Music“, collaborating with composers, performing her concerts on classical, acoustic and electric guitars, archilute, chinese pipa, with live-electronics and video, taking part in theatrical and multimedia events. She performs as soloist (Australia-Melbourne Festival, Hamburg Festspiel, Bern Saitenfestival, MiTo, New Music Prague, Biennale Venezia, Dresdner Musikfestspiel, Universidad de los Andes Bogota, Singapore Int. Guitar Festival, Liten Gitarrakademi Ingesund, Milano Musica), with orchestras (Mahler Chamber Orchestra, RAI Orchestra, Concerto Budapest), in duo with J. Ruck (Münchener Biennale, Magnus Haus Berlin, Münster Festival, Dampfzentrale Bern), in collaboration with music ensembles (Divertimento Ensemble Milan, Ensemble Modern Frankfurt, Sentieri Selvaggi Milan, Camerata Bern) and with live-electronics and computer music studios (Agon-Milan, Akademie der Künste-Berlin, DIST Genua). She has realized CD productions with RivoAlto (Giuliani), Dabringhaus&Grimm (Henze), BMG-Ricordi, LArecords, Victor Japan, Auditorium, Velut Luna and Stradivarius (StrongStrangesStrings – Chances Changes – Kurtàg), DVD and Video productions with Vortice/Venezia (S.Reich, M. Pisati, M. Tadini), Al Gran Sole (D. Scarlatti), LimenMusic (E.Morricone, S. Bussotti). In 2009 Al Gran Sole has realized a DVD portrait documentary film titled “Nelle corde di Elena”, dedicated to her life and music. In 2010 Elena Càsoli has participate to a DVD production dedicated to J.S. Bach The Art of Fugue. Since 1994 collaborations as journalist with the Italian musicological review Il Fronimo. 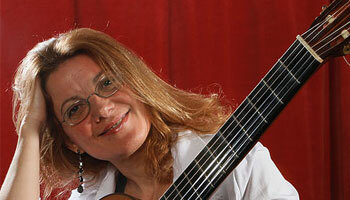 Since 2002 she is professor for Guitar and Contemporary Music Interpretation at the High School of Performing Arts in Bern.